Cardale, located on NW32-14-21 began to be settled in 1907 when word spread that the railroad was scheduled to pass through the area. The first resident was Mr. R. Elmwood. He was recruited by Bawlf Elevator Co. to hold land for a new elevator. Cardale was incorporated as a village in1909. The village was given its name in memory of Mr. John Cardale, one of the original settlers of the area. 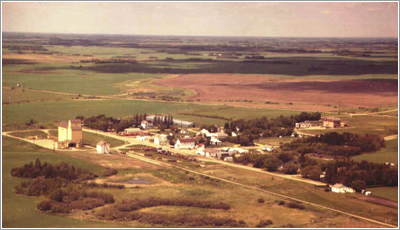 Cardale continued to grow attracting many businesses, a store, and two-grain elevators.The spirit of Cardale lives on today as the village, though smaller, boasts an active community membership. Community members run Dora's Café, an example of the community spirit that exists. It serves as the gathering place for morning coffee seven days a week, after church, and after baseball games in the summer.